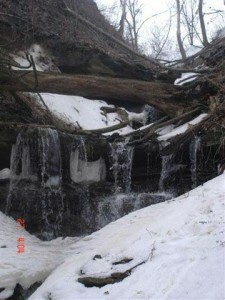 East of Fifty Falls is located on a tributary of Fifty Creek. Its height is from 5 metres (16 feet) to 10 metres (33 feet) depending on how many cascade sections are included. 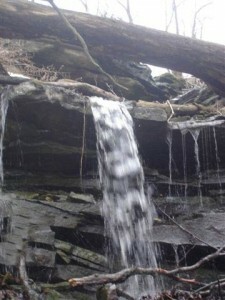 Its width is 1.5 metres (5 feet). 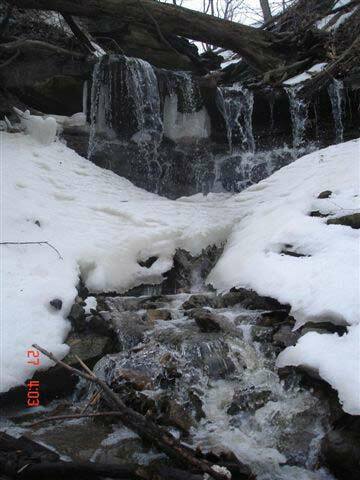 It is a combination of Curtain Falls and Ribbon Cascade, and experiences its strongest flow during peak storm events and during the winter snow melt. 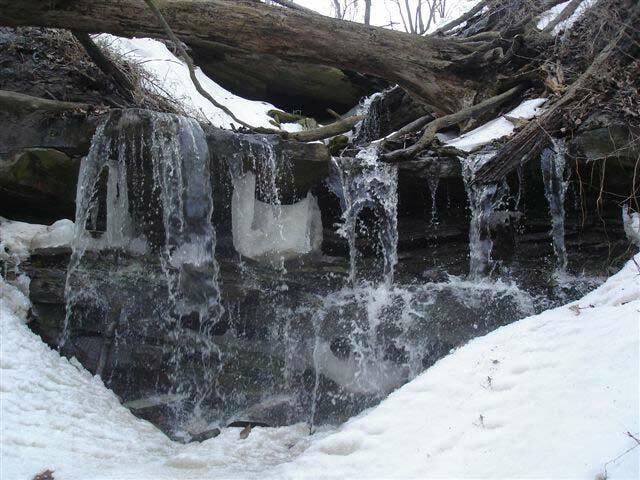 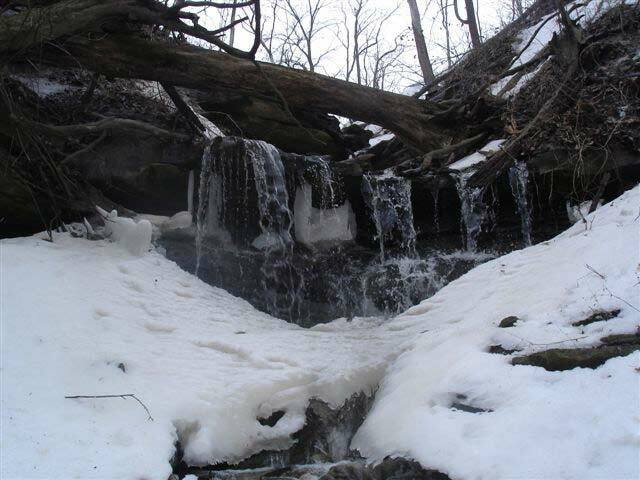 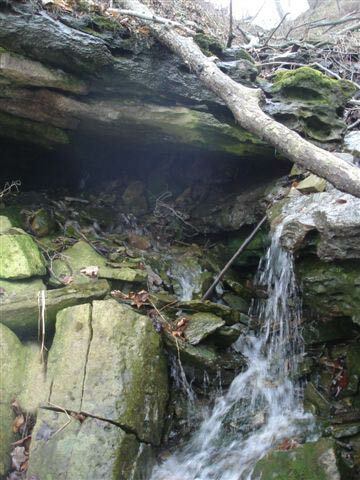 East of Fifty Falls was “discovered” by Joe Hollick in 2007.
ravine east of Fifty Road.